Textured, thick, tremendous and teak; introducing our new Cross Reclaimed Teak Bench seat. Part of the Cross range of furniture boasting stunning large, rough-looking planks of recycled teak on a thick cross base; giving a confident and gratifying look. 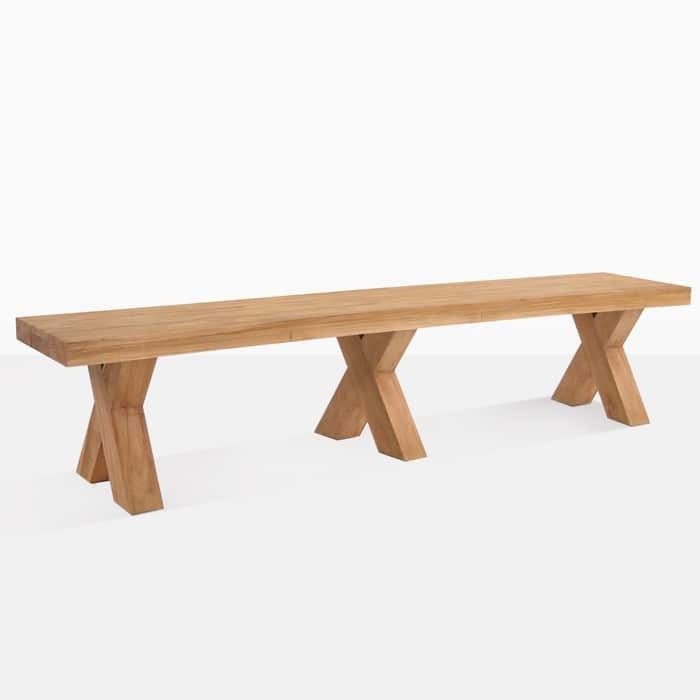 As well as two sizes of Bench, we also have the Cross Reclaimed Teak Tables, available in substantial 94” or 117” lengths. Pair up your Cross Bench with a matching table for a clean, complementary set. Or place this Bench with a contrasting table, such as a Concrete or Stainless Steel table for a satisfying and eclectic look. 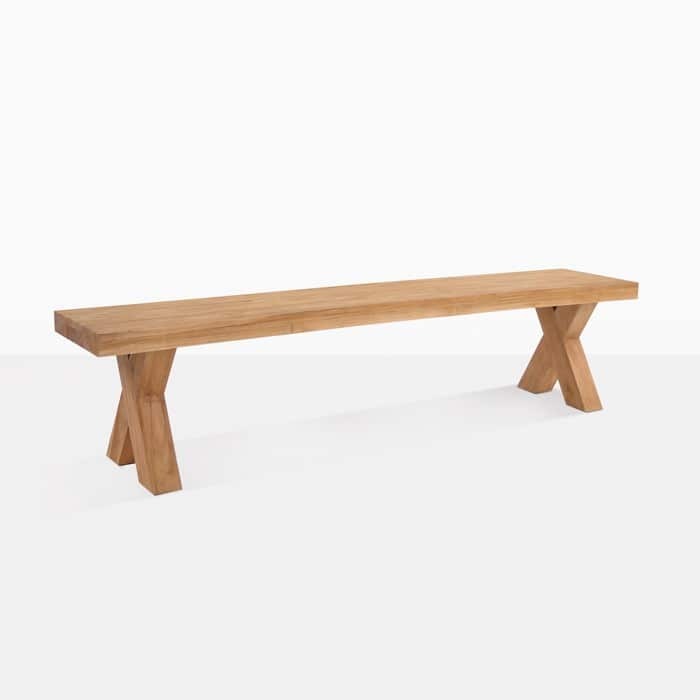 The Cross Reclaimed Teak Bench can also be used for a solo bench against a wall as seating for dining or in the garden as a unique seat amongst the flowers! This bench is presented in a natural blonde color with the interesting look and feel of reclaimed teak. You will be delighted with the way it looks in your outdoor space.